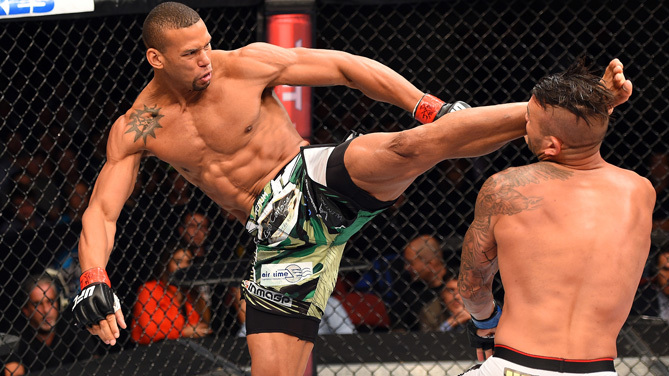 With 21 wins in MMA — fifteen by knockout — and a sequence of four devastating wins in the UFC, Thiago “Marreta” Santos has, at last, put himself in a position to shoot for the belt. The 35-year-old Rio de Janeiro native made a good impression on Dana White, and the organization’s president has already said that a fight between Marreta and Jon Jones may indeed occur. But what’s been going on in the mind of the potential future champion? Sober in his answers and not letting the imminence of the title shot go to his head, Thiago is confident: “I don’t see anybody in front of me for this chance. It’s my turn; I’ve earned this position.” Read on for our complete interview with Marreta. 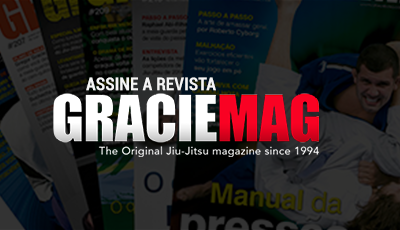 GRACIEMAG: Dana White said he would enjoy seeing a fight between you and Jon Jones. Have you ever imagined yourself fighting for the belt? THIAGO MARRETA: No doubt my moment has arrived. I have earned this, yes; I think I deserve this opportunity from the UFC. I have imagined it and do still, but you know how the UFC is. 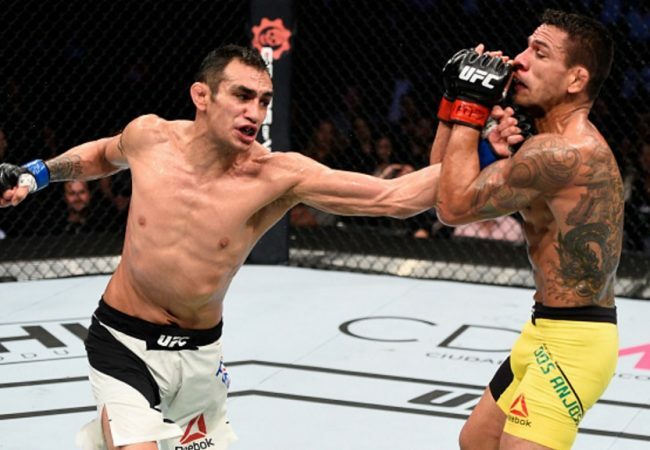 Other fighters, some Brazilians included, earned the right to fight for the belt, and they found a way for it not to happen. So first I want to let it happen, for this duel to be realized, and then I’ll go into this fight with total focus. Jones’s most recent fight was slower-paced, and you have some great wins achieved through your explosiveness. Could this be the recipe to punch a hole in his defense? Each fight is its own thing. Against Manuwa I was more explosive, but against Błachowicz I fought more slowly. In each duel, something different happens. I think against Jones the best plan is to have a mixture of everything, a game of chess. Anything can happen. Another differentiator may be your jiu-jitsu. Are there plans to take Jones to the canvas? Although I don’t need to show it a lot in the Octagon, I know about my quality in BJJ. I’m a black-belt under Tatá Duarte and can trade ground transitions with anyone, not to mention the submissions I have up my sleeve, but using this or not will depend on how the fight will unfold. If there’s an opportunity, perhaps I’ll bring it to the ground and work with my jiu-jitsu. In case the Jones fight doesn’t materialize, is there another bout that would please you? I’m hoping for a title fight. I don’t see the point of any other fight, but I’m an employee of the UFC, and if I have to sit down and wait, that’s bad — I don’t like waiting. If I have to do another fight, I will. But the fight I hope happens, for sure, is this one for the belt. I don’t see anybody in front of me for this chance. It’s my turn; I’ve earned this position. I can only see this fight. What happened in your meeting with Dana White? We spoke about everything in the meeting. We negotiated the renewal of my contract and showed him my interest, my request to fight for the title. You know how it goes — he didn’t give me an answer in the conversation. So now I wait. I’m counting on the support of everybody, that they continue tagging and pressuring Dana White so that this fight will happen. It’s key for the public to show interest in this fight. Let’s do it and bring this title to Brazil.